An evening out. A formal event. Just because. Perfect reasons to wear something a little more elegant and refined. 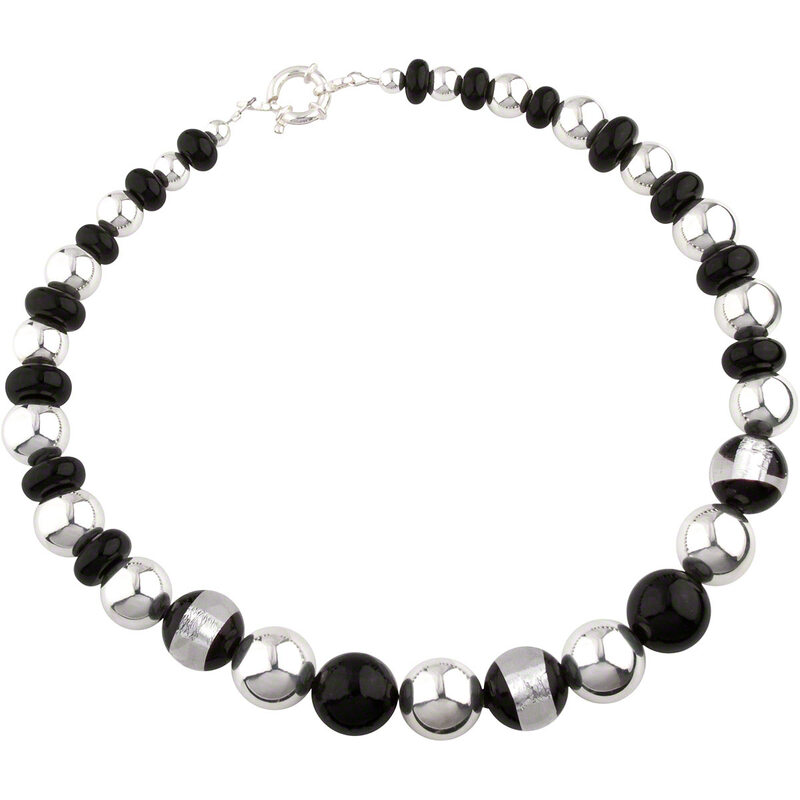 For those occasions and more, we have the Ventana Necklace in black and silver. Graduated smooth sterling silver and Murano glass beads are strung alternately to create this 18 inch necklace. Delivered in a leatherette necklace box for a sublime presentation.